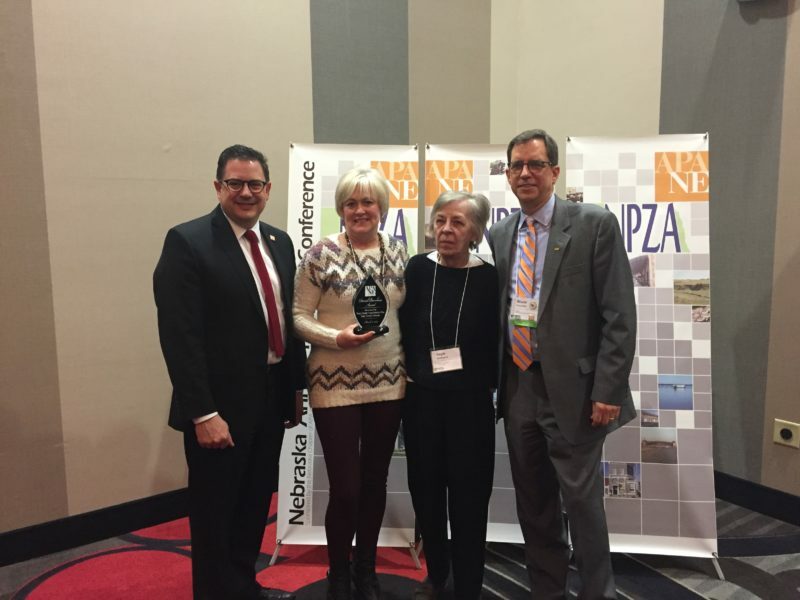 Every year the Nebraska chapter of the American Planning Association recognizes outstanding planning efforts undergone by cities, counties, and other government entities at the Nebraska Annual Planning Conference. 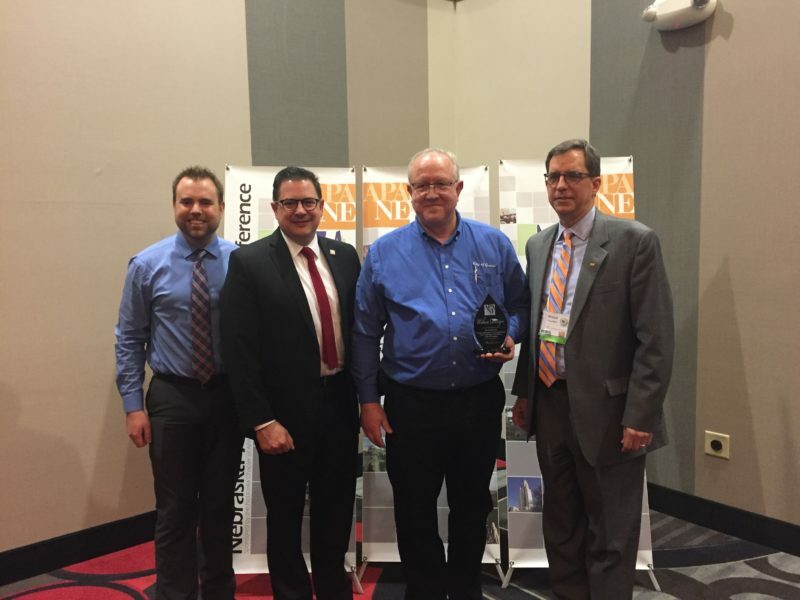 In 2018, JEO is proud to announce that three of our clients, Lower Elkhorn Natural Resources District, the City of Gretna, NE, and Sarpy County, have been recognized for excellence in planning and have received honors for their work. JEO is honored to share in the successes of its clients in obtaining these awards. It is through careful planning and effective teamwork that we can make our communities and surrounding environment successful places that will improve lives well into the future. Join us in congratulating our clients by learning about their projects below. After experiencing a tough drought period in 2012, the LENRD knew it needed to develop a more effective response protocol for regional resource management during drought events. In 2015, it initiated the process of developing a Drought Management Plan (DMP). The overall goal of the plan was to empower LENRD directors, staff, and residents to make informed decisions related to resource management. To prepare the plan, the LENRD utilized multiple innovative strategies, including reviewing and synthesizing more than 75 local, regional, and state plans that address drought; facilitating a drought tournament; interviewing water users and providers across the LENRD; and identifying best management practices for mitigation and response. The DMP was completed and received FEMA approval in early 2017, and was implemented at the beginning of 2018 when the LENRD utilized the DMP to update the groundwater management policies to include drought stages and triggers for water resource management. 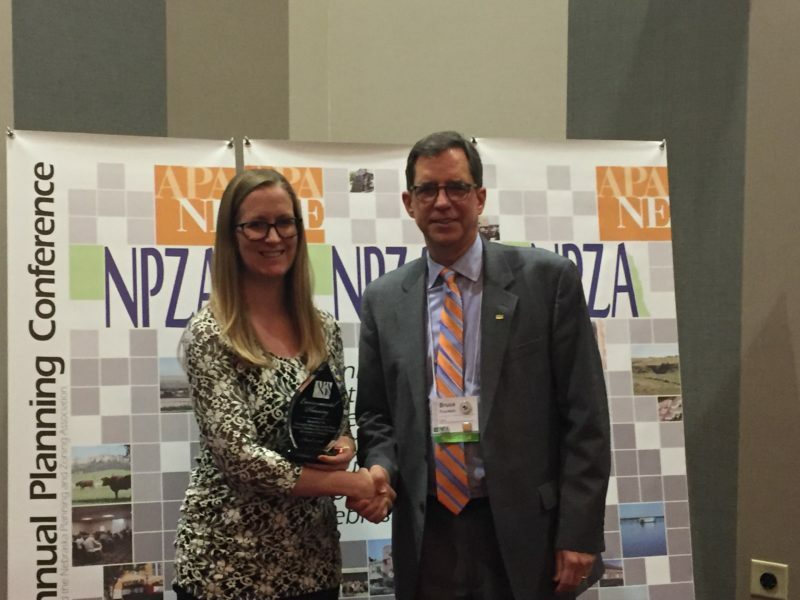 The Environmental Planning Award honors efforts to create more sustainable and greener communities that reduce the impact of development on the natural environment and improve environmental quality. The City of Gretna aimed to give its residents a clear vision of potential future improvements to their community. To do this, they created a 3D model that could be superimposed on the physical proposed site and viewed from all angles using a tablet as a controller. Known as augmented reality (AR), the technology can provide an expanded understanding of a design, create new opportunities for greater feedback, and help build public support. The tool combines the real world with the virtual world, allowing the public to interact with and observe the digital concept plan within the real world. Through this tool, the City of Gretna could display sidewalk enhancements such as beautification improvements, street lights, safer steps, benches, trees, and more. AR enabled the public and business owners to see and feel how the space might look and operate more efficiently. “The City was very fortunate to have a Steering Committee who was engaged throughout the process, and consulting firms that kept everyone on task,” says Jeff Kooistra, City Administrator for the City of Gretna. The Urban Design Award honors efforts in planning to create a sense of place, whether that place is a street, public space, neighborhood, or campus effort. The natural ridgeline that bisects the County has effectively determined the location and extent to which growth can occur in Sarpy County. Yet, since 1950, Sarpy County’s population has increased over 1000%. This level of growth has pushed Sarpy County near its current buildable limits which can be served with sanitary sewer infrastructure. The Sarpy County Comprehensive Plan is the result of incorporated strategies from the community and specific stakeholders. The vision for the plan came after a review and prioritization of information derived from focus group meetings, public workshops, stakeholder interviews, and online input, all of which were reviewed and prioritized by a citizen advisory committee. This vision was determined to be a balance between future development and the need to protect the unique environmental and agricultural resources found in the diverse County. The Comprehensive Plan sets specific policies to guide the decision-making process to ensure the successful realization of the Sarpy vision. One policy that aids this endeavor is the establishment of County Growth Zones, which will effectively phase the development of buildable areas in the County. “The success of Sarpy County’s Comprehensive Plan was based on the cooperation of Sarpy’s five communities in aligning growth patterns and identifying a unified vision for the entire region,” says Planning Department Manager, Jeff Ray. The Daniel Burnham Award is reserved for a comprehensive plan that advances the science and art of planning, and honors America’s most famous planner, Daniel Burnham, for his contributions to the planning profession and to a greater awareness of the benefits of good planning.